Most of our residential customers are referrals from neighbors who see what an impact Anastasi Landscaping can have on a property. From immediately increasing curb appeal to transforming a boring backyard into a private getaway, Anastasi Landscaping has the experience and the team to give you the yard of your dreams! 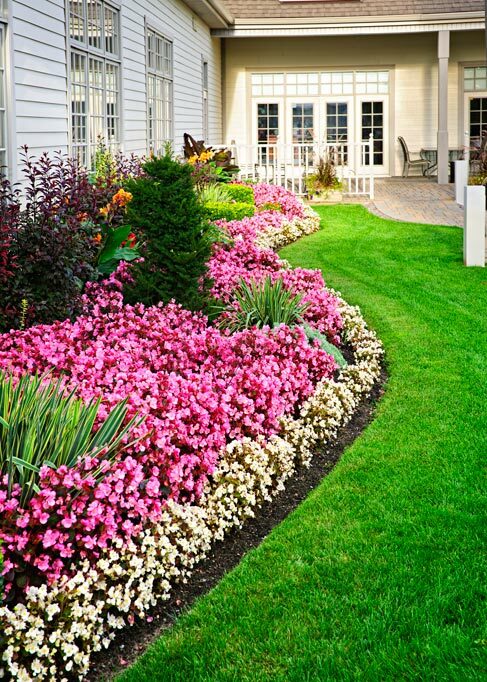 Anastasi Landscaping provides an array of landscaping services to fulfill your vision of an ideal property. After speaking with you about everything that you would like to include, we will design your new yard to bring your vision to life. We understand that budget is very important for a homeowner. With over 20 years of experience, our team can transform a yard on any budget from simply adding new mulch, to complete redesigns to include trees, bushes, flowers, sod, and even including new hardscaped areas and retention walls! We will work to maximize your budget to increase property value, boost curb appeal, and give you a reason to stay home and enjoy the outdoors. With our years of experience, our professionals know how to care for your property. We pride ourselves on always delivering consistent, quality landscaping services. Contact us today for a free estimate!